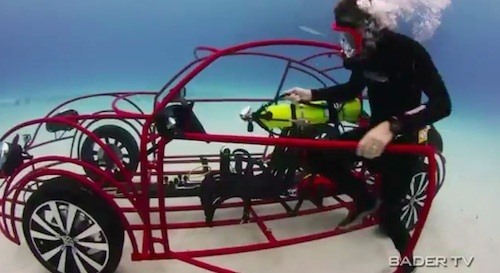 As if the world needed one more reason to be obsessed with Shark Week, Volkswagen has teamed up with Discovery Channel to create this awesome "underwater car" that's actually a mobile shark cage. 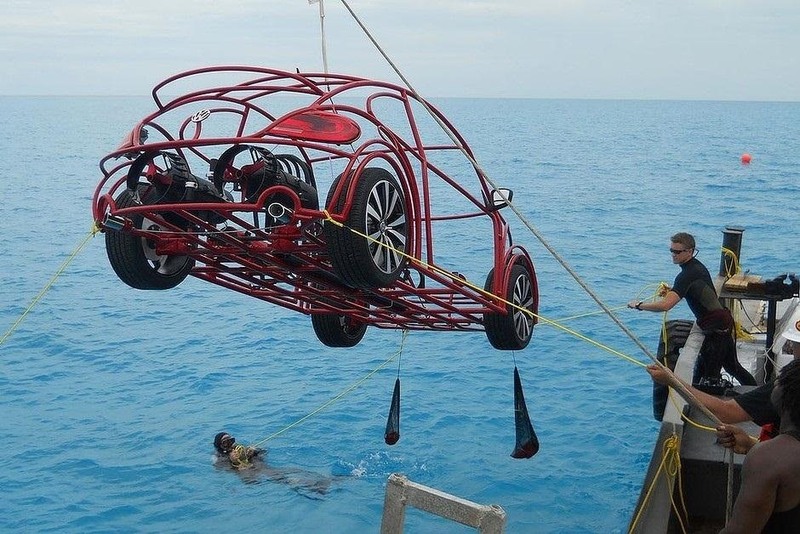 It has a full air system that divers can hook up to, along with two propellers that allow it to actually drive along the ocean floor. 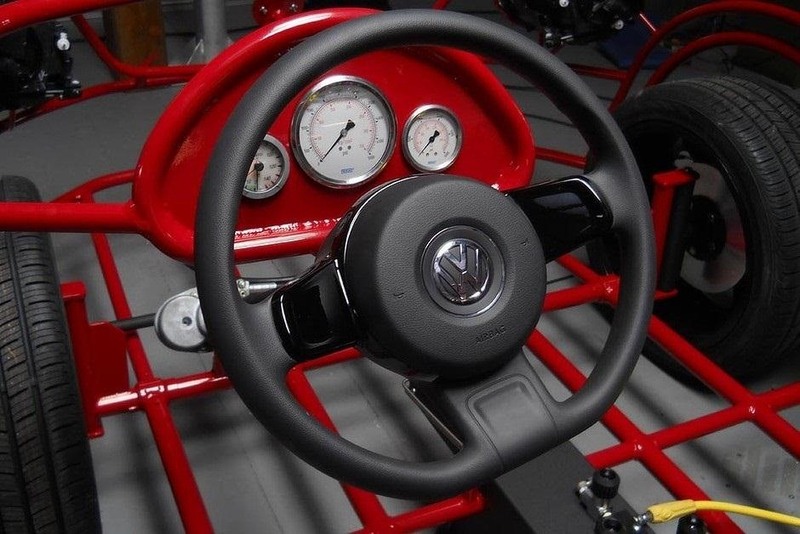 The frame is made of tubular aluminum and is shaped like the iconic Volkswagen Beetle. The headlights, wheels and steering wheel even match its on-land cousin's. Here it is getting ready for its first swim! 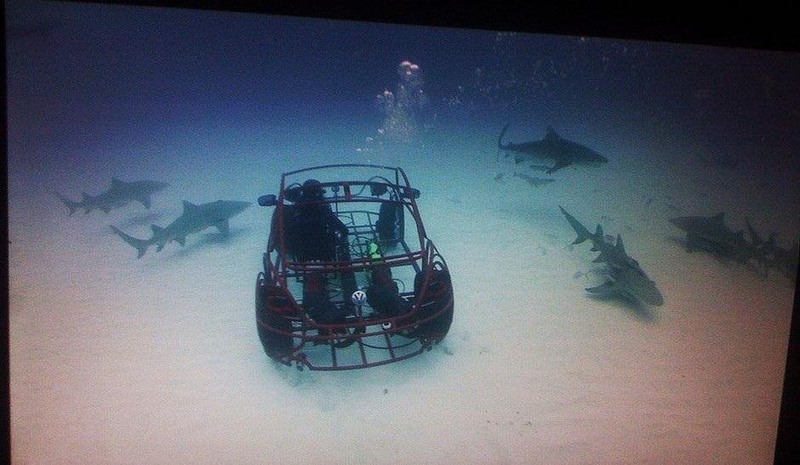 The idea behind this was that rather than hanging out in a stationary cage waiting for sharks to swim by, divers could follow the sharks in a (hopefully!) safe mobile cage and catch more action on camera. Check out the video below to see the test drive. I'd say this is truly the thrill seeker's vehicle! So what do you think? Would you take it for a spin? How about build one? All in all, it looks way easier than building a land vehicle. So, who's going to DIY one? That's awesome. What sort of propulsion system does it have? Electric or compressed air? What is the expected life of the power system per dive?